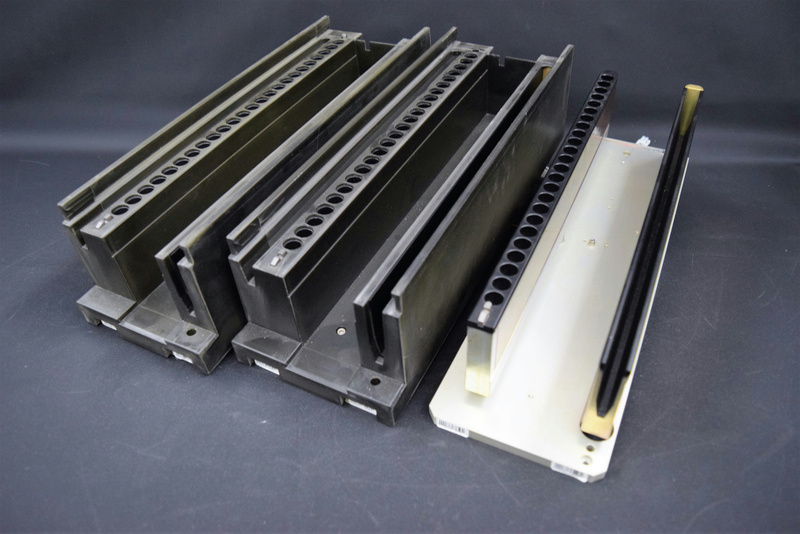 Roche COBAS AmpliPrep Sample Preparation Heating Trays (Lot of 3) . New Life Scientific, Inc.
New Life Scientific technicians removed these from a Roche COBAS AmpliPrep Real Time PCR Automation Sample Preparation for Taqman. No individual testing was done. Minimal wear and age, appears to be in good condition. Two of the trays have the jacket covers on them, one does not.